It is beautiful because mediocrity is rare there, because quality is preserved over quantity, birth over fortune, the highest human values over those one can buy. It is not that Indians are, by nature, better than other men; they only have, alongside intellectual aptitudes equal to those of the most gifted peoples, a long spiritual heritage that enables them to know a whole world of essences, more subtle and vast than that of logical relations, a world that other "intellectual" peoples no longer know. They know how to keep the richness of intuition while acquiring the advantages of reason as much as the others. And this is thanks to that permanent culture of the heart, which is, for them, the Hindu religious atmosphere. Something of it always remains in the personality, if not in the ideas: something imponderable, a hidden generosity, an elegant attitude, even in evil. It is possible that a Hindu, exiled as a youth and raised, far from India, in a totally different place, becomes worse than a European -- worse from all points of view, because his nature leads him to extremes -- but he will never become vulgar. And, without a doubt, there are in India even Hindus who, taken individually, are frankly bad; there are, in any case, in history and Hindu legend, more real than history. But there are none who are good out of cowardice. And that is one of glories of India. India is the aristocratic land par excellence. It has a pious horror of the artificial equality of men and races, cheap sentimentalism, the vulgarization of precious knowledge, international fashion, and proselytizing religions, in a word, all that contributes, near and far, to creating a standardized human type. It despises the careerists, the pretentious, the "simplistic," the devotees of "progress," the idolaters of science applied to material success, the idolaters of thought applied to leveling, the weak, people in a hurry. It has the strength of those for whom neither material losses, nor the opinion of the crowd, nor time matter. Somebody said that it takes a thousand years to form a true English "Gentleman." One needs ten thousand to form a Hindu of noble race, representing the most perfect of a humanity that he has surpassed. Below this elite, there are the increasingly deep levels of the ignorant and miserable masses, apathetic through the force of overwhelming pressure, submissive, silent, unknowable; levels that are stacked, one upon another, until gradually, imperceptibly joining the most primitive of the aborigines of the land of India, bound for a hundred thousand years to their immutable, barely human existence. It is an enormous reservoir of unorganized forces, burning and vague aspirations, oppressive vital concerns, remote cosmic intuitions. It is a burgeoning of increasingly vegetative life, comparable with that of the humid and shady soil of the tropical forest, with the mysterious valleys of the ocean festooned with tangled algae and animated flowers -- with the greenish, teeming bottom of a pond. The incomparable elite plunges its long roots there. The elite, which realizes the most stable human equilibrium, not through the tyrannical crushing of fertile animality, the matrix of the world, but through its symbolic stylization, its internal organization -- its sublimation -- resembles the beautiful immaculate lotuses which, their flexible stems intertwined in the nutritive mud, touch the very heart of Mother Earth, while on the quiet surface of the dark water, they open their blue petals to the sun ... its uninterrupted creation seems to be the raison d'être of India. The Hindu elite is not a minority of skilful people; what it is remains always more important than what it does. It is an aristocracy of character, culture, and spirituality. Divine incarnations form a part of it. Hindus whose lives are quite unobtrusive in the world form a part of it too. The most famous are not necessarily the most perfect. Sri Vivékananda said that the greatest yogis are silent. And before the Gautama Buddha, whom five hundred million men revere, there were other Buddhas whose names are not even mentioned in legend. However, moral beauty and, in a general manner, the value of the person on planes other than intelligence and action, insufficient though they may be to make a man a leader, are in India, along with the other qualities required everywhere, essential conditions of success and popularity. All the great men of modern India form part, like those of ancient India, of the highest human elite, whether they demonstrate it on the political scene or elsewhere. Another consequence of the same spirit, essentially Hindu, that shines in ordinary life is the esteem everyone accords to Brahmins, rich or poor -- and sometimes, alas, regardless of a recognized lack of value. It is not that one venerates there the man, personally, but the Brahmin, i.e. the elite that this man is seen to represent. It is that, in principle, the Brahmin is a spiritual king. He is, in fact, always treated as if he were one. He feels that nobility carries obligations, and he deserves the honors he is given. It should be recognized, and on the whole the Brahmins feel it, that there is in India an aristocracy other than one solely of birth. One need only compare them to some educated and highly refined castes, such as, for example, the Vaidyas or the Kayasthas of Bengal, from which so many eminent personalities come every day. It should be noted, as well, that India treats with the same esteem all men, Brahmins or not, whose sanctity or whose genius clearly raises them above their contemporaries. Mahatma Gandhi was from the Bania caste; the immortal Tukaram was a humble Sudra; and the virtuous Nandanar, who, in South India -- so very orthodox -- is remembered today nonetheless, was of even humbler extraction. It is often said: "India has no history," meaning that the material facts that mark its development are badly dated or are not dated at all and, consequently, difficult to classify chronologically. It is almost made into a reproach. No one hesitates to blame it on the lack of organization inherent in Oriental civilizations, and to see there, moreover, a proof that India has a great need to submit to European methods and swallow Europe's sense of order. But historical intuition, however little one has, must try to get closer to the bottom of things. This is why history has some interest, because the aspects of life are not of equal importance to all peoples. It is necessary to ask why India is "without history." It is because, for it, material facts count little. It is the experience, for which they could be the occasion, that counts. The experience alone is preserved. What good is it to preserve the memory of contingent facts? What good to put what is secondary in the foreground? What good to make enduring what is by nature transitory? The Earth itself changes form. But experience leads to supreme knowledge, to the knowledge of the permanent. In a hundred ways, with various expressions and symbols, India has consigned this knowledge to its sacred texts. It is not interested in the rest. The history of India is, above all, the history, on the human plane, of a set of spiritual forces for which before and after have little importance. For those who sense the soul of a country behind the adventures of its destiny in time, the imposing vision of Indian epics indeed retains, in this respect, priority over the muddled chronologies of princes, Chalukyas or Yadavas -- or Rajputs -- even accounts of the immortal defeats that gave only the land to the Afghans, Turks, or Mongols, and only the gold to successive overseas Empires. Ancient India left, of its historical life, still less light than medieval India. In books reporting the history of the Gods, impersonal and symbolic accounts of the system of human experience; in books of yogic asceticism, containing the anonymous acquisitions of the sages, the experience of those who knew how to control their consciousness, to realize in it the harmony of the World, and who heard in their ears the music of the celestial spheres: here, for India, is the essential; here is what was worth the trouble of preserving from a past of several millennia, as rich in warlike glories and peaceful flowerings as that of any other great people. Other peoples have preserved lists of their kings and ruins of their temples: they have a history. But they lost the tradition of the essential that India has preserved. India has the cult of the impersonal, of the universal. To its history even, it does not attach any other importance than that of an individual experience. Land of burgeoning civilization, of complex religion, with innumerable contradictory aspects, society subdivided to infinity, in which there is place for all, it sees, in any "special case" that is affirmed in the name of its own value, the unjustified exaggeration of a small part that fails in its role by leaving its place. It is unaware of national fanaticism, considering itself from the point of view of Man. It is unaware, by the same token, of the idolatry of Man and all the stupidities and atrocities that accompany it in civilizations flowering under the sign of "science." It inserts Man in the world of the Living. For it, only that which is universal, of a cosmic universality, is really worthy of being exalted. And the Individual, the Nation, Man, the Earth, are only points of view on this reality and this supreme value which is expressed in each one of them and exceeds them all: Being..
India has the cult of Being. Its scholars -- its sages -- are those who see what is universal, further and more deeply than discursive intelligence helped by a somewhat unsure intuition can go. "Darshana": vision; it is the Indian name for any philosophy -- science of Being. Its artists always designed and still design art -- whatever it be -- not as an imitation of the visible, nor as an exaltation of the self, but as the expression of one beauty and one truth, invisible and intangible, impersonal -- essential; of one "universal," grasped directly in what passes. Its heroes are those who conquered or defended whole kingdoms while remaining detached from their own action. India has a sense of the relative. It knows that all individuality, however unique and irreplaceable, is secondary. Its great individualities are those who, having known themselves on the inside, and disciplined the forces of the unconscious, the blind energies that stir all matter, have managed to reflect the universe in its harmony. They reflect it, while retaining irreducible differences of nuance, attitude, power, in a word, expression -- as the pale lotuses are reflected on the surface of the water. India loves them because they are beautiful; because they have the disinterestedness and calm of complete beings; because they never speak about themselves; because they render tangible the identity of man, of the earth, of all that is destined to perish one day with the boundless and bottomless Cosmos in which Life eternal continues its rounds in time without end. India is "classical" in culture and temperament, to the roots of the soul. "Classicism" is for Europe, before anything, a literary ideal, but, on the contrary, is for India the internal standard of life. But worship of the universal does not mean exaltation of uniformity. Uniformity -- which, unless it be mere mediocrity, is always artificial -- is obtained from the outside; the universal is grasped from the inside; its pursuit does not crush individuality but disciplines it, harmonizes it, "stylizes it," makes it entirely oneself while being more than oneself. Whence this truth, which could seem paradoxical to a "romantic": the most universal individualities are the most original. The same observation is valid for works: compare, indeed, the great anonymous epics of the world to the spirited, bitter, indiscrete creation of the politician-poet, drowned, in fact, through his passion in the wake of an epoch. Nothing is more irritating than the talkative patriot who badgers the foreigner with the praises of his country, than the singer who delivers to the public the story his love affairs, than all other insatiable lovers of fast and fleeting publicity. Individuality, personal or national, is very precious; thus India draws itself up against all that tends to diminish it, to dissolve it. But it needs, at first, to be decent, not to throw itself in people's faces, to have a sense of the hierarchy of values and remain in its place -- to be modest. It is, then, the source of life and principle of creation. If not, it is nothing but the source of anarchy. India is the born enemy of anarchy because in it the obscure forces of being disperse and lose themselves, because anarchy is opposed to slow and powerful stylizations of complex life. Both Aristocratic character and Hindu classicism seem to proceed from the most intelligent love of Life; from this love which, in the cauldron of passive and chaotic existence, can already distinguish the natural lines of forces, the anticipated plan of the most advanced creations. One of the most popular demonstrations of Indian classicism is the reserve, the discretion so universal from one end of Hindu society to the other. One can notice without difficulty, in all India, a moral "behavior" that is a sign of strength. Perhaps, for example, a young Indian left for England six years ago in order to continue his studies there. He left at home his parents, wife, and two babies. All are present at the Howrah station to welcome him back after so long a time. His parents have aged; his wife also, perhaps; the children are seven and eight years old. He sees them waiting for him on the platform. It is quite certain that an inexpressible emotion follows, but he is its master. He does not call out. He does not rush forward. He gets out of the train calmly, like a man. From respect, he wipes the dust from the feet of his mother and old father, throws a simple glance to his wife, who lowers her eyes; strokes the black curls of the young girls who raise towards him their large eyes shining with happiness, and returns with them, by taxi, to the house that welcomes him as before. Meanwhile, no public embraces, no tears, no effusions, no indiscreet display of sentiment. The whole scene remains dignified, as it should be. The deepest emotions are holy things: it would have been equally out of place to make a ridiculous or a touching spectacle for the travelers and porters in the station. Indians have an innate sense of decency in all that touches the heart. It is very rare, likewise, to find an Indian who speaks a lot about himself, and impossible to encounter an Indian woman who is not modest in her purest joys as well as her sorrows. One can quite easily imagine discussions, confessional free-for-alls, more or less sincere, between European ladies at tea. There is no equivalent in India, even in the company of Hindu ladies with whom I traveled the most. The Indian woman hides her intimate sufferings, her disillusions, her heart-rending pains, not under the coarse mask of a gaiety too loud to be true, but under calm of a soul that endeavors to be released from individual contingencies, who instead of suffering her experience, forces herself to use it to open a broader and more disinterested view on the world -- a more beautiful view. One has the general impression that there is much hidden suffering in India, but that there is also, alongside it, a deep serenity. The individual does not revolt. There is, in his place, a primitive sense of his own insignificance (admitted elsewhere, but not experienced). This experience, if it does not throw him into apathy, helps him to find, in silence, the strength to surpass himself. Yet such a national elite seems to flower on a background of immense misery; and likewise, on the background of repressed aspirations, disappointed hopes, daily renunciations, hard duties, seems to be sketched, little by little, during the course of years that resemble each other, a higher and wholly interior life -- the true life -- of the individuals that in Europe one would call "average"; the anonymous Indian life: a "classical" work of art if there ever was one. The Hindu religion is indeed the most aristocratic there is. It is even one of the reasons, it seems, for why it never took up residence beyond the limits of the Indian world. The religions that are or can appear egalitarian have the widest success. The crowd loves equality. Hinduism recognizes and sanctions the inequality of men in their birth, as in their indefinite diversity. It by no means seeks to reduce one or the other; it insists on the contrary. It inserts each man in his place in a complex social network, in principle according to what they are by nature; according to their aptitudes, their degree of evolution; and it exhorts each one, in this place, to give his best. The contents of the "duty," the mode of worship, are not conceived as uniform. The religion seeks to follow the secret intention of Nature, to assist evolution. What counts, for each one, as it is written, is his "svadharma," i.e., in the broad meaning of the word, his own standard -- which does not necessarily mean the standard that is liked by each, but that which is appropriate to him. The ancient and persistent caste system, so much decried and badly understood in Europe, rests, in theory, on the natural inequality and diversity of men and races. Like the most excellent things, it gave rise over time, and still gives rise today, to sad misunderstandings and regrettable abuses. Hereditary untouchability is, certainly, the worst social state that has been defended or tolerated on its behalf. Cleverly exploited, it has become nowadays, abroad, a too-convenient excuse to disparage India and, in India itself even, a danger to Hinduism. In addition to that, it is, in South India especially, the pretext of a moral attitude, if not action, in absolute contradiction with the respect for beings on which, however, no religion has insisted as much as Hinduism. But the abuses prove only the stupidity of men. The principles, drawn from nature itself and formulated by ancient rishis who lived in supreme wisdom, are no less perfect. Historically, the caste system contributed a lot to preserving the integrity of Hindu society in the midst of all the storms of the past. Philosophically, it expresses in an admirable way, on the social plane, the subtle and manifold genius of the Indian heart. It is not to be rejected, but to be applied, according to its original principle, which is natural and eternal, not according to outdated requirements of ages that are no more. It is to be rehabilitated in the India of today in a spirit of intelligence, not to be preserved in a spirit of routine. Because it is not a dead thing. The spectacle that Hinduism offers, on the outside, is also a consequence of its genius. The first impression that one who knows nothing of it in advance must have is, it seems, of a vast ensemble, inextricable like a jungle, without defined directives, without unity, without general ideas; that of a luxuriant bouquet of beliefs and practices where one finds the oddest, most shocking, and most sublime things -- pell-mell. Those who abstain from any flesh, and even eggs, in the name of the religion: Hindus. Those who offer goats in sacrifice to the Divinity -- in the middle of the Twentieth century! -- Hindus too. Those who, with offerings of flowers and sweets, prostrate themselves before primitive statues, strange symbols of wood or stone, naive images on printed paper: Hindus as well. Those who, without the assistance of any visible symbol, are engulfed -- directly -- in interior contemplation of the Heart of the World: Hindus still! But not all men have -- fortunately -- the ideas about the superiority of civilizations of the Europeans installed in India. With the eyes of those who can see, the inextricable cluster of beliefs, practices, and religious symbols that form Hinduism is penetrated by a deep unity. And it owes its cohesion to a concept of religion, as simple as it is admirable, common at least to all Hindus: the highest spirituality being only the crown of the whole of life, one should not, at any price, be detached from life, however multiple and unequally evolved. The man who has only little experience and a relatively poor spiritual heritage cannot conceive of God in the manner of one refined by thousands and thousands of existences. Allow him the rites that speak a known language to him, ideas that are adapted to him! Evolution will do the rest, all alone. To force before the hour gives only artificial results. All the manifestations of Hindu piety, including the most crude, are the natural, sincere, and adequate demonstrations of human piety relative to a certain level of awakening of the soul. No one, in principle, has the right to dismiss any; the soul wakes up gradually. True religion cannot be uniform any more than true culture. Only the external organization of worship, rites, material obligations, etc., could be. But why would they be? Why enforce them? True religion would not have anything to gain there, on the contrary. India has understood for millennia that organization must first be interior, that uniformity is not unity, that generalized intellectual habit is not culture. It is perhaps because of this that India never made systematic and constant efforts to organize itself on the levels upon which other countries are organized. Historically, this is, perhaps, one of the causes of its weakness. But the historical point of view is not its own. Moreover, who knows? Nothing proves a priori that modern India is incapable of organization and creation, simultaneously, on several planes. The future will tell. Land of fertile contrasts, India contains extremes -- all kinds of extremes. It does not apologize for any. It recognizes without sorrow the symmetrical manifestations of the same energy that it adores, which is itself, and which is God. It contains life: crude, heavy, overflowing, soft, with all its torpor and all its manifold richness; life unorganized, formless, and free, which, with the irresistible slowness of cosmogonic transformations, exalts itself, purifies itself unceasingly -- stylizes itself -- in the unconscious play of its own forces. It contains its religious thought and its culture, the most rich and the most beautiful at the same time, which have been, in the course of the centuries, colored successively by all fulgurations the tropical imagination slowly disciplined; made true by the experience of the sages; made alive by the uninterrupted creation of the artists; made immortal by the unshakeable fidelity of a whole people. It contains the science and the poetry of the world. But it is difficult to embrace in an overall view. He who comes into contact, at the same time, with those few who are the best on earth and the very humble ones barely nourished by its inexhaustible soil, has the impression of primitive Chaos on which, and in which, Perfection is sought unceasingly. India is the magnified microcosm of humanity. All countries are microcosms of humanity, but in more or less striking ways. Here, one is struck by the richness and the relief of the tableau, by the value of contrasts. All that the world contains -- the disparate, the tragic, the calm, the inextricable and the plastic, the shadowy and the luminous, spread out over all the continents and the centuries -- India contains today, collected, concentrated, stylized, completely enhanced with its universal meaning, at one moment of time -- currently -- and in an area smaller than little Europe. There is nothing to add to the truths that it has discovered. Nothing to add, either, to the human value of its most perfect representatives. If beings of flesh and spirit from another planet could desire to know humanity in its most favorable light, it is among the best Hindus that the Earth should choose its ambassador. And there is, likewise, down to the most primitive aspects of Indian popular life, nothing to remove that will not, by itself, slowly evolve in beauty. Hindu India is also, on more than one side, the sister of a particular Europe. Despite everything that separates them, it is incontestably more like contemporary Europe than it is like either yellow Asia, on the one hand, or, on the other hand, the world of Islam. But it is not like the West of today that it acts. The Western pilgrim who vainly seeks in other climes a living vision of his dream stops, often with a shiver of admiration -- and of emotion -- before the rites and pageantry of Hindu temples. It is as if the whole soul of old, forgotten Europe, pagan and classical Europe, long since suppressed, were there, immortal, transposed into the civilization of a hot country. Something here is close to what came to resemble the processions of ancient Greece and its festivals! Undoubtedly, the processions of women and girls, draped with same elegance as them, advancing, one behind another, like them, in the half light of a hall of carved pillars, in which floats the perfume of incense; carrying offerings, like them, and almost the same offerings; beautiful, undoubtedly -- like them! Here is the abolished cult that was to be, more or less, the one that the Emperor Julian, come too late, made vain efforts to restore! The Hindu religion in its popular expression, as we have seen, is, all things considered, the Greek religion of before Byzantium; it is also all the old Aryan religions of old Europe: religions of the spirit of tribe or city, at the very least, and, in general, of kindness and respect to all beings besides. One could almost say that ancient Europe -- Greece, especially -- and India, are counterparts. One can find, in the religious legends and symbols of one and the other, exciting parallels and differences that are balanced. Resemblances and divergences are based, in the wisdom of the best, on a unity of views. Do not believe it, Cyril! They live in my heart! It could be, as well, the response of modern India. The most extraordinarily rich and varied popular religion leading to the most humane and rational philosophy: this is what the Hindu society of today, like yesterday, contains. Europe, outside more unified, is actually less. It does not know how to keep internal unity within the diversity of names and forms. Europe is organized, marvelously organized. *Leconte de Lisle, " Hypatie et Cyrille," Poèmes Antiques (Paris: Alphonse Lemerre), 286-287. 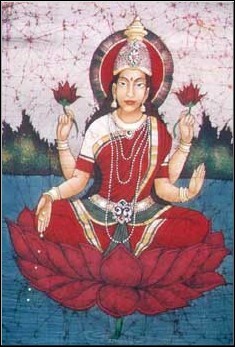 The preceding text is Chapter 12 of Savitri Devi's L'Etang aux lotus (Calcutta, 1940). Trans. R.G. Fowler.